We trade the products we use and enjoy. The products we sell are the products we appreciate and use to prepare the best dishes in our showroom restaurant. Our client base demands high-quality products so we handpick each wine and gourmet producer to provide the best of Spain in Germany. 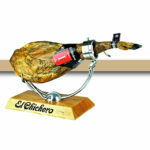 Wines and gourmet products from Spain. Quality comes first in our philosophy, therefore we keep a close contact to each producer, monitoring each step of the process before we deliver. From the temperature of transport to vintage, quality, local weather, and stocking. From department stores in Germany to gourmet restaurants and individual clients. KaDeWe, Tulous Lotrek, Hotels, Wine shops, Delikatessen Laden, and individual clients that appreciate Spanish Delicatessen. 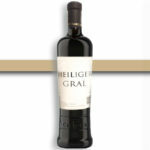 Heiliger Gral is the spanish wine created for Germany. 100% Tempranillo. D.O. Ribera del Guadiana. We run a Shop and a Spanish restaurant in Berlin for clients to try our products. We monitor and enhance our identity in different markets like our online shop and other online platforms..
From opening new markets to online marketing, we have a team that specializes in each facet of our business. We take part in trade fairs and food market promotions in specialized venues. We expose the products consistently but carefully. We take part in radio and TV interviews to promote our business. Our experience marketing products have awarded us distribution rights from some producers which facilitates the exposure management. If you are a producer, customer or visitor and would like to get in touch, write us a message. We are always ready to participate in new activities.